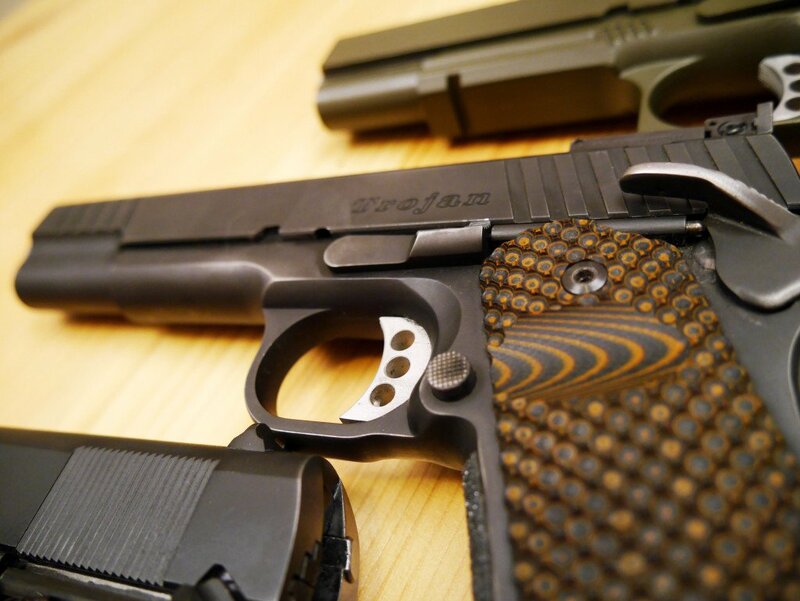 Find out the best 1911 upgrades to make your gun perfect. We’re breaking it down into easy DIY mods, gunsmith required upgrades, and recommended products. In this article, we’re not diving into pushing the boundaries of performance and reliability for competition. 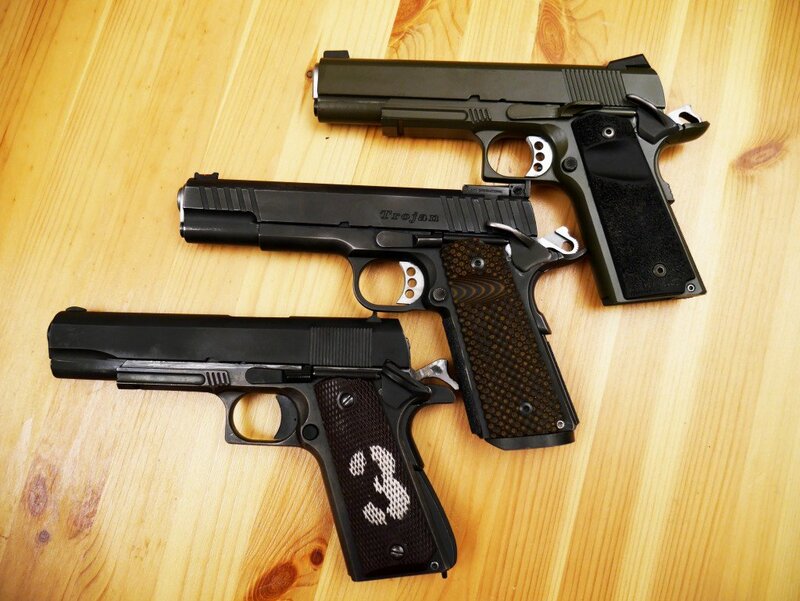 Just some effective upgrades that can make your 1911 more suitable for your needs. 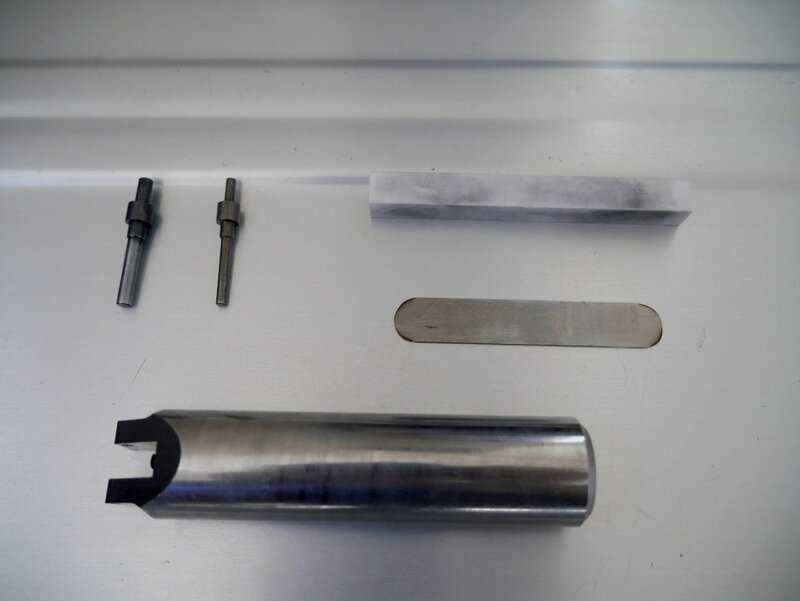 Lessons learned from upgrading several of our guns and even building one from the ground up. Also some links from our favorite vendors so you can find the best price at the moment. 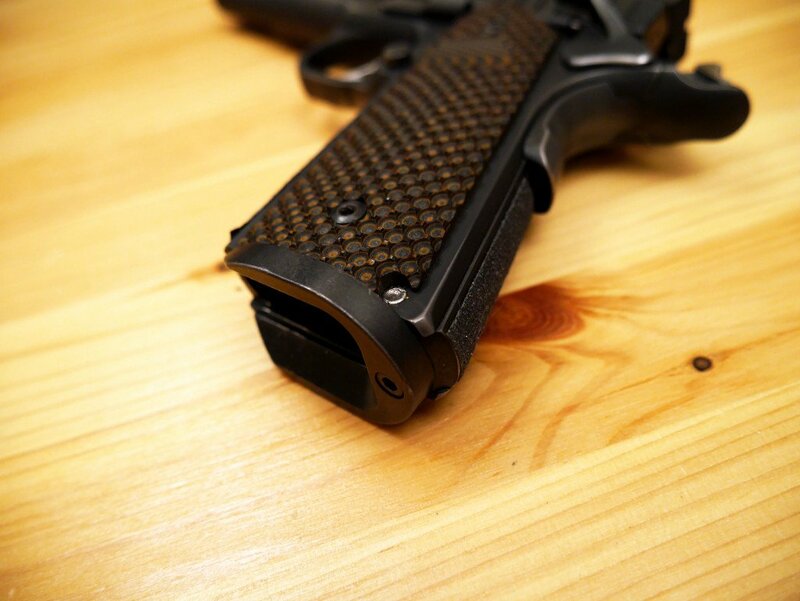 All it takes is a few turns of a screwdriver to put in new grips that will give your gun a new look and feel. There are waaaay too many options here and it’s mostly personal preference. For me…I always like extra grip over everything else. I’m also a fan of the thumb groove that lets you hit the magazine release easier. Make sure to choose the correct size based on your 1911…most likely either Government (full-size) or Officers. Alumagrips: Forget wood, polymer, and G10…Alumagrips goes with precision milled aluminum for a light and snug-fitting grip. I really like their “Grater” model which gives a Goldilocks amount of grip. If you’re having problems reaching the magazine release easily you can swap out the magazine catch for an extended version. The hardest thing you might have to do is light sandpapering to fit it into your frame. EGW Extended Mag Release: My preferred extended magazine release since in addition to making it easier to hit, it raises loose-fitting magazines a little higher into the magwell to make feeding more reliable. I was having problems with feeding the first round of a new magazine and switching out the release to this one cured my race gun. Chances are your mainspring housing that came with your gun is fine. However, you can choose to swap it out for a different checkering pattern (more or less aggressive), if you want a palm swell or not, or if you want to have a combo extended magwell. Beating a dead horse topic on forums. I prefer to go with a full-length guide rod because it adds some weight to the front which reduces muzzle flip and it minimizes the recoil spring from potentially binding on the short guide rod. I can deal with the slightly more difficult assembly/disassembly process. Plus if you hate it, you’re only out a few bucks. Another quick and easy part swap for some decent gains if you’re having trouble hitting the slide lock during reload. If you’re having feeding issues, it’s almost always your magazines. The ones that came with your gun are probably not great. And for the 1911, there are two names that are regarded as the best magazines. Probably the most important upgrade if your 1911 came with stock crappy sights. You can install them yourself but I’ve found 1911 sights require some fitting and sanding that is probably better left to the pros. As for what sights are the best…it’s personal preference. You will also have to figure out if your current sights are Novak or Bomar cut on the frame, and then choose a new sight accordingly. Sometimes you will have to have a gunsmith mill the frame if you’re on a GI frame or looking to switch cuts. Fiber Optic Front Sight: Really visible during the day and a small sight for more accurate shots. You can pair it up with a fiber optic rear site as well. I like running an rear adjustable sight with it. More options. You could probably install it yourself with our guide, but it does require some custom fitting and tweaking. The end result is going to blow your current stock trigger away. All Triggers: Lots of other triggers out there with different looks, I recommend getting one that has overtravel and pretravel tweakability. What’s your take on fixing up your 1911 trigger until it’s super light and super smooth? This is how people mess up their 1911’s. We have a tuning guide if you’re up to it…but I would suggest leaving it to the pros if you’re not super confident in your skills. And spring changing is how you end up making your 1911 unreliable. I should know…I have a box of different spring weights before I gave up and just went with stock springs. 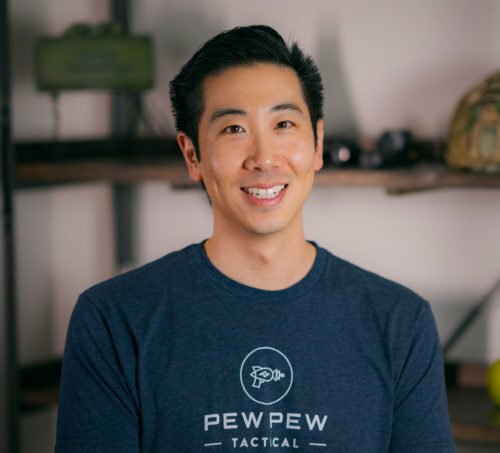 Here’s a great article from Wilson Combat about recommended weights and how you can change them based on caliber, load, and length of your barrel. If you want to tinker with springs. 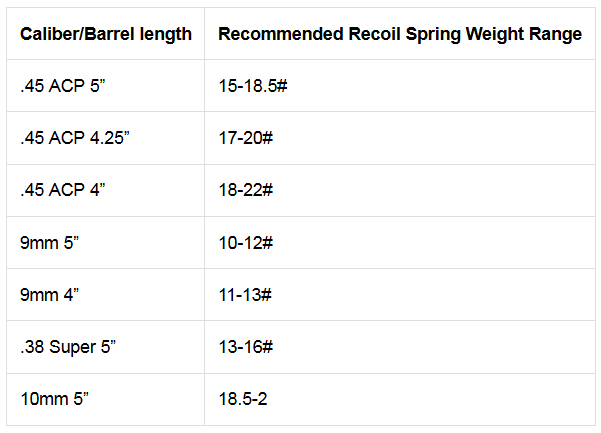 Am I correct in assuming that under the recoil spring table, the 10mm weights should be 18.5 to 20? It says 18.5 to 2, which doesn’t make sense. Hi, Eric. Nice article. What mags would you recommend for a double stack 45? I have a Para Pro Custom that I love but the persistent feed problems where the round seems to enter the chamber at the wrong angle then gets stuck has kept it in my safe instead of at the range. Thanks! Thanks for all the info…….Holland the worst country to own a colt 1911 .22. Info….parts etc is finding a needle in a haystack. Terrible but i love my colt 1911. I see in upgrades & mods nothing about red dot sights….i’d like to mount a docter or similar one. Question if powerful enough. Maybe some info would fill in some blanks……..thanks again forr the info. You’re welcome, Peter! We have an article on handgun red dot sights here. But it’s catering to those with slide cutouts. You will also have to figure out if your current sights are Novak or Bomar cut on the frame, and then choose a new sight accordingly. Sometimes you will have to………..??????????? We will sometimes have to WHAT? Sometimes you will have to have a gunsmith mill the frame if you’re on a GI frame or looking to switch cuts.